Congratulations to all of our participants and winners!!! 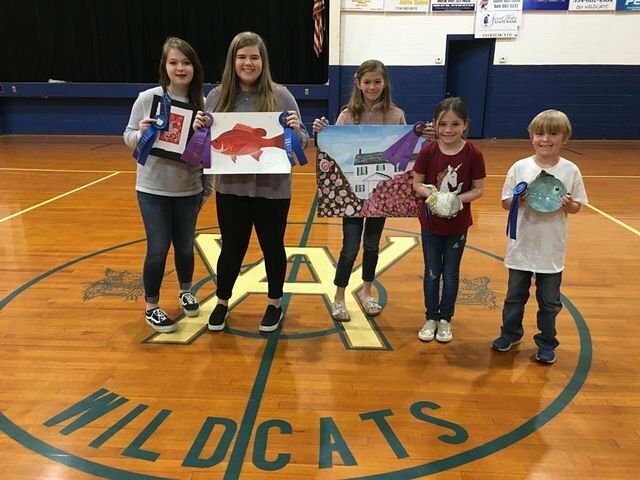 Congratulations to all of this year's participants and winners at the Annual Wilcox Academy Art Show, held of Wednesday, March 27, 2019. This year saw one of the largest displays of talent we have seen in years! Congratulations to everyone who exhibited, and a special Congrats to all 1st and 2nd place winners who advanced to the District III Art Show at WA on April 10th. Official Winners Listing: 1st and 2nd Place Winners advanced to District.